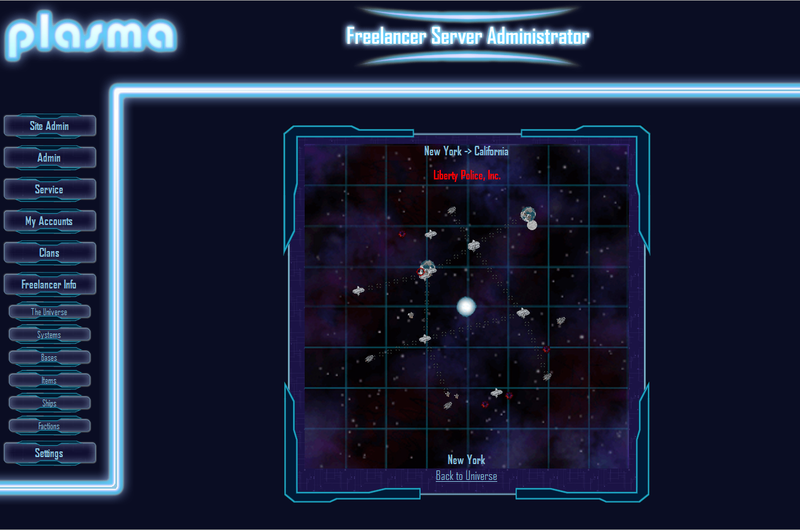 Thanks to this you can now move view maps that leave the ecliptic like Guanaga Proxy in Freelancer Evolutions. This makes understanding such systems a lot easier, since the top-down view is not much help at all. Addition: I can implemented much nicer looks now by mapping the z-coordinate to the z-index property of CSS. While I was still trying to replace IONCROSS with Plasma, I figured: why not replace Datastorm as well? 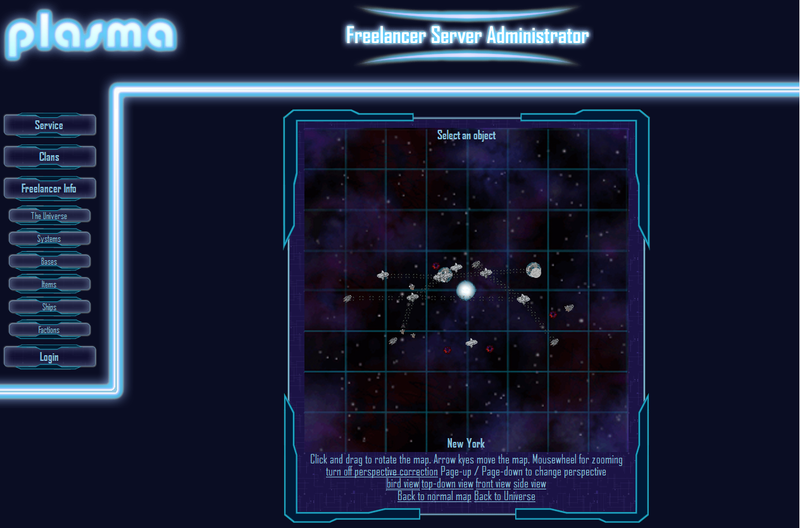 On my machine Datastorm takes around 10 Minutes to read all the information on systems, items, markets, bases and ships into its database and shows it. Plasma reads the same (including also the .cmp files for the ships to get all possible hardpoints for a model) in around 3 seconds. All images rendered in Minefield (Firefox 3.0 beta), because in Firefox 2, Opera or Internet Explorer the grafics look kind of pixelated. Thats because I can’t use transparent PNGs in IE. I have to use GIFs and downscale them and only Minefield can scale transparent GIFs bicubic which looks a lot better. 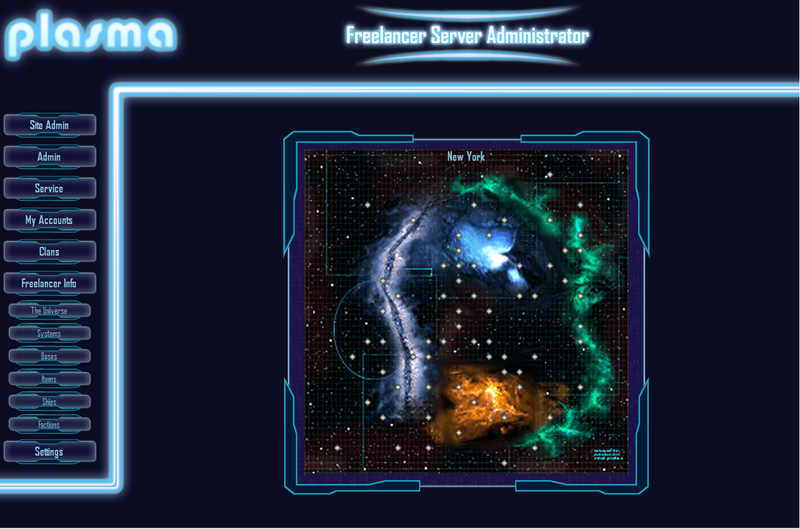 I finished the new design for the plasma webinterface a few days ago, someone told me the old one was too “white”. This one is darker now and it has a cool scaling Freelancer-style dialog around the main page. It was hard enough to make this one look good in my Firefox, but I had to redo it completly to make it look usuable in the Internet Explorer. Opera still screws up the dialog size in the middle. You are currently browsing the Maluku's asorted blog blog archives for March, 2007.